Love football? Come receive world-class training from Real Madrid Foundation coaches. Don’t miss out on this action-packed experience. 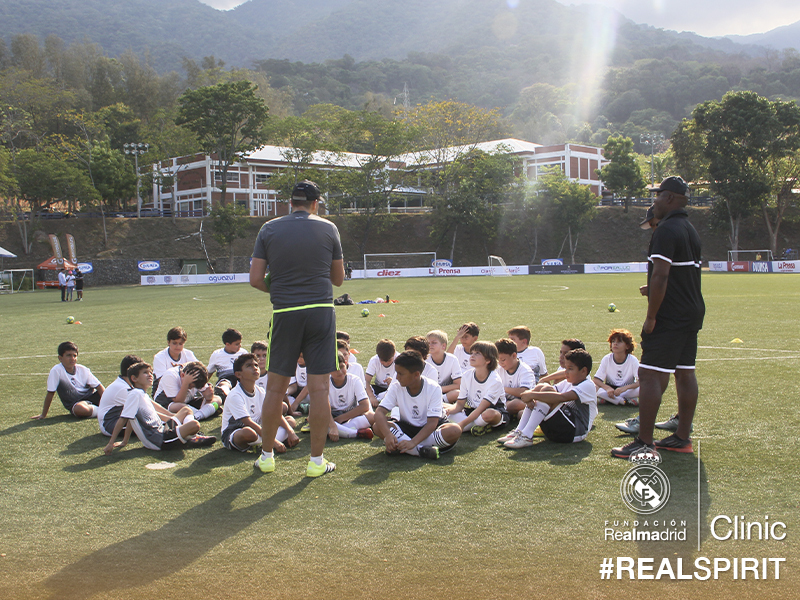 Learn, travel, have fun, play together with other children… Come experience the Real Madrid Foundation Clinic Antalya, Turkey. A once in a lifetime opportunity for children between the ages of 6 to 17 years to receive World-class training while you are enjoying your holiday. Now is the perfect time to discover what it means to be part of a club. What it means to be part of #REALSPIRIT. Don’t miss out the opportunity to have a great holiday experience while your child is learning from one of the best football trainers in the world. You are not staying at the hotel? Don’t worry, the clinic is open for everyone. 5 days x 1.5 hours professional coaching by the trainer from Real Madrid Foundation Academy. And enjoy the International Real Madrid Card and all its advantages FOR FREE for 1 YEAR. Training sessions, always dynamic, using the ball a lot. Objectives and contents, few but specific, set for each training session, according to our style of play. Training will be held at the Regnum Carya Training facilities where Turkish National Team and many other famous football clubs and football players trainings take place. Task designed in every exercise during the training session, always realted to the objectives and content. These tasks will be performed from the simplest and progressing to more complex tasks. What is included in every camp? 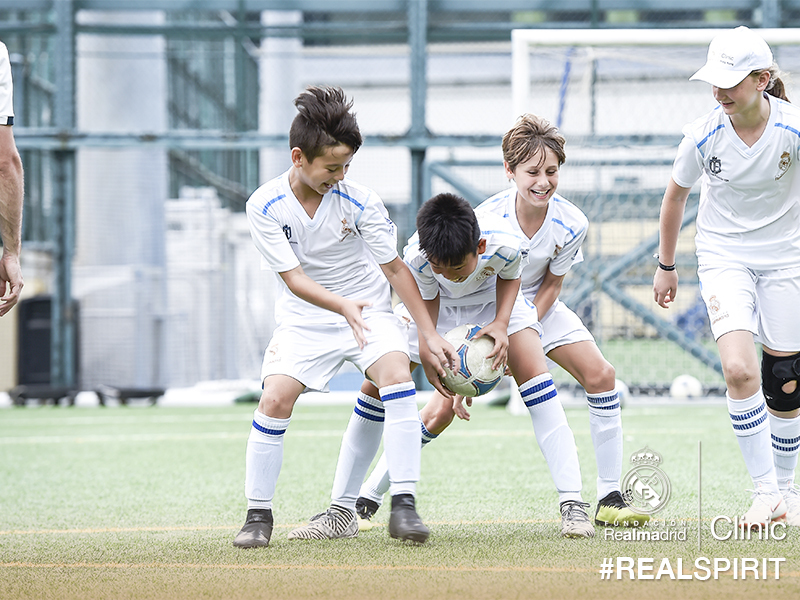 Every program includes 5 days of training with Real Madrid Foundation coaches (selected by Real Madrid C.F. Academy Director), a Real Madrid Foundation training kit, as well as a signed Real Madrid Foundation Diploma at the conclusion of the camp. Madridistas card will be presented complimentary for attendees. For more information about Madridistas; please visit http://www.realmadrid.com/en/fans/madridistas/international Camp attendees will be able to attend a training camp in Madrid(surcharge), the price for this package will be announced. Is there a schedule for every camp? Yes – the kids can look forward to a 5-day-camp with 15 hours of focus on football in total. Around 3 hours of training everyday with professional coaches and a practice match. The training content is pre-designed by the Real Madrid youth academy. Tell me about the social aspect of these clinics? Real Madrid defender Dani Carvajal ranked the Real Madrid youth academy as the world’s leader, among other things, because it taught him fundamental and social values. These guidelines are very important for us. Real Madrid don’t just see the talent, but also the person, who has to have a good character.